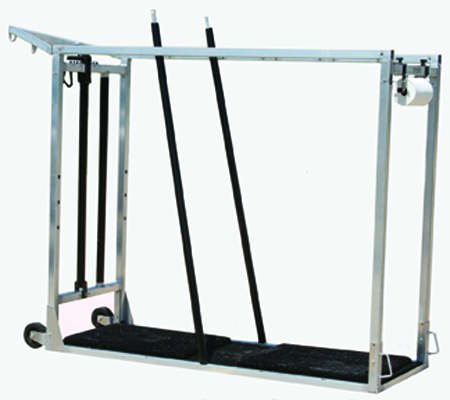 Sullivan's 7' Aluminum Cadillac Chute [AL7] : Highland Livestock Supply, Ltd, Products for all of your show animals! 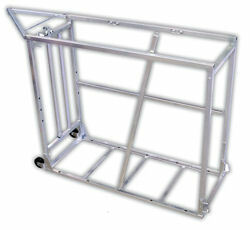 Aluminum chute w/ wheels & head tie. Chute is 6' h x 34" w. Rounded Corners on tubing do not have sharp edges making it more gentle and safe for cattle. Sullivan's Aluminum Cadillac Chute is the only one in the industry to have this special extruded radius tubing for aluminum chutes! 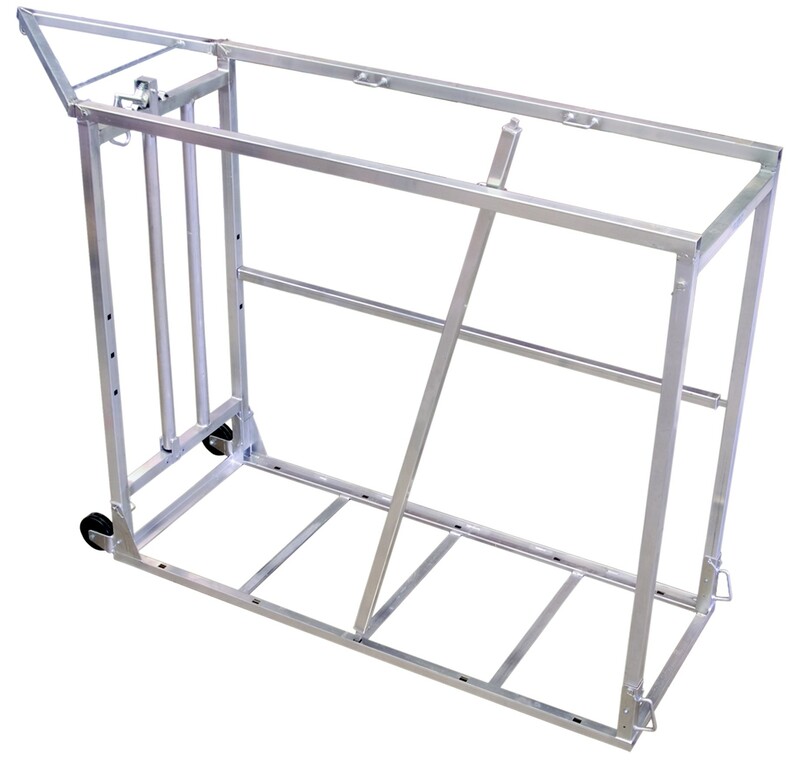 Super Light - Easily portable for shows - Can be set up or taken down in minutes. 2 inch tubing with rounded corners. Sturdy 9 gauge aluminum. Aluminum side bars and head gate bars have been powder coated so no aluminum color rubs off onto your animals. Head tie yoke features three tie-loops for many tying options. Paper towel holder is included. FLOOR IS SOLD SEPARATELY. Weight is 115 lbs. IMPORTANT! - Aluminum is a soft metal and can easily bend or break. There is no warranty on chutes. A $30.00 Packaging charge will apply in addition to motor freight charges. F.O.B. Motor Freight - Freight quotes available upon request only.